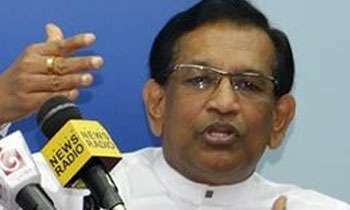 The government was contemplating to hold Presidential poll or General election and the elections to all nine provincial councils in one day within this year, senior cabinet Minister Dr. Rajitha Senaratne said yesterday. Minister Senaratne told Daily Mirror that the government was concerned about the delay in conducting elections to six provincial councils whose term of office had expired last year. “Keeping six provincial councils under governors without people’s representation is not healthy in terms of participatory democracy. But all those concerned must realize that the government is not responsible for the delay because as there were many shortcomings in the delimitation report. Without finalizing the delimitation, the Elections Commission is not in a position to hold provincial council polls. Therefore, the only solution to hold PC polls early under the old system or Proportional Representation system,” Minister Senaratne stressed. Minister Senaratne noted that the government would submit a memo to the cabinet shortly with amendments necessary to hold PC polls under the old electoral system and later for Parliamentary approval. “That being done, we can hold PC polls together with either the Presidential or Parliamentary polls subject to all party leaders agreed,” Minister Senaratne added. He pointed out that amendments necessary to hold polls under the old system also needs to be drafted by the Legal Draftsman before going to Parliament and it takes time. “However, I don’t think there will be a major road block to hold PC polls and any other major election simultaneously and under the old system because all political parties want early elections,” Minister Senaratne said. You must have PC polls ASAP. Presidential and general should be held together this year to save money belonging to the people. please!, abolish the executive presidency. It was made enough distractions to our mother land. All these IMF/ADB loans are they for these multiple elections? My goodness!! Please look at the suffering of the people, while you have a lavish life. Having any damn election is of no use, if you all are bringing forward mostly unsuitable candidates, who are either thugs, drug dealers, masters in playing out public money etc. Either way we vote, we voters will lose.